Hash tags almost in-and-of-themselves exemplify what much of this “social media” stuff is about – linking for ease of consumption. These little hashtag icons (#) are used in conjunction with Twitter that makes ideas easily searchable and more accessible. 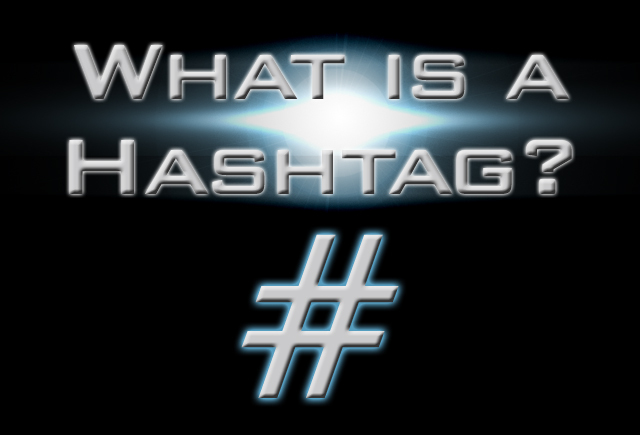 By simply inserting the “#” symbol before a common word or phrase, your message’s reach is immediately bolstered on Twitter as your message is now getting out to readers who may or may not be in your circle of followers if they are searching for the hashtag you employed. Paid promotion. This is something that has been introduced relatively recently to Twitter, where companies can now pay to promote a hashtag trend for things like product launches, movies, and more.When you are on Twitter, you will recognize these paid promotion trends because they have a gold arrow followed by “Promoted”. A more organic method for these trends to come about are from prominent Twitter figures, and large fan bases – Think Justin Bieber, there is almost always a trend associated with him. Hashtags are great to not only get your own message out there to a broader audience, but also when it comes to research. For example, if you are searching for tweets about the positive affects of bee pollen in your diet, your first instinct may be to Google it – valid option – but if you opt for a Twitter search, you may normally search the words, “Bee Pollen” to see what comes up. Undoubtedly you will get some hits, but they may be things like “Bees tend to generate excessive pollen when they are pollinating flowers.” where the search words are bolded. Now, try search #beepollen. You will find that the search results, though perhaps fewer, are much more laser targeted to ONLY be tweets that involve beepollen via the hashtag. Just be sure that whether you are searching, or using a hashtag for your own messages that the words following the hashtag are always continuous, with no spaces in between. Another use of hashtags comes from if you are sending a tweet that you want to achieve a little more exposure than normal. In this instance, take a look at what hashtags are trending right now. If you see, “#WeirdThingsToTry” is trending, and you’re trying to tout the positive effects of bee pollen, Tweet, “Did you know taking bee pollen each day is clinically proven to help Allergies?! #WeridThingsToTry ” That will definitely get your tweet more exposure than normal! You can also add several hash tags if you see one that is associated with your subject is trending but might not give the whole story, such as if #ThingsIWouldntEat is trending, “Did you know taking bee pollen each day is clinically proven to help Allergies?! #ThingsIWouldntEat #Debunked” almost creating a quasi-phrase. Feel free to get creative with your use of hashtags – especially those trending – as people will often ReTweet things they find entertaining. When taking a more personal approach to tweets, it’s always a good idea to lighten the mood and have a little fun with it to keep your followers entertained. Making a funny hash tag that will probably be unique on Twitter can produce a quick laugh or retweet. Who knows, you may even launch a trend yourself! One final note – don’t use apostrophes in your hashtags, punctuation marks (and spaces) end the hashtag keyword. P.S.S. A GREAT website to find out why things are trending now is What The Trend. Hope this helps to clear some things up!